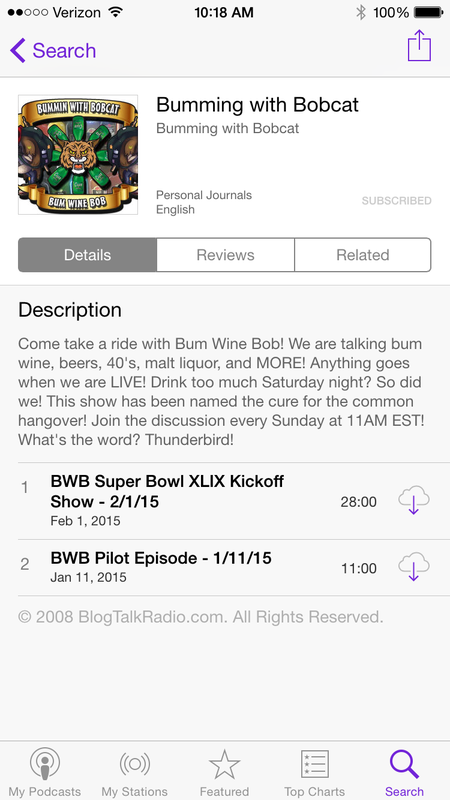 Home > football > NFL > podcast > The BWB Super Bowl XLIX Party! The BWB Super Bowl XLIX Party! Are you recovering from your Super Bowl hangover? Upset about the outcome of last nights game? Disappointed that you didn't win any money in one of your many super bowl box pools? Join the club! 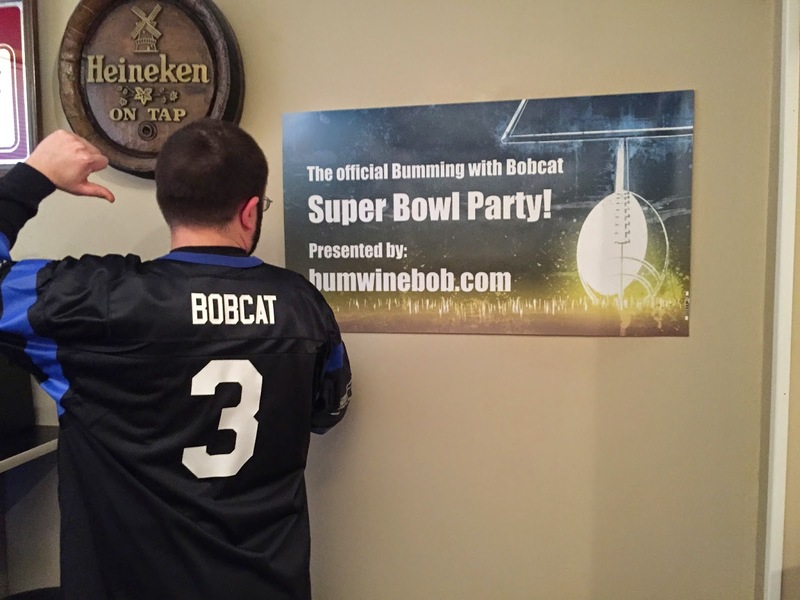 While last nights game might have not turned out as expected, us here at bumwinebob.com wanted to make sure that you kicked off your Super Bowl Sunday the right way and partied in style! The official BWB Super Bowl Party! As all of you know, yeterday was the official LIVE debut episode of the Bumming with Bobcat Podcast! This was something that has been in the making for almost a year now, and we finally went live at 11AM on 2/1/15. We talked Super Bowl parties, bum wine concoctions, and even heard from a few of our loyal listeners! Take BWB on the go and download on iTunes! Did you miss yesterdays debut show? You can listen below! Stay turned for what will be coming on the next episode of the Bumming with Bobcat Podcast! Listen to "BWB Super Bowl XLIX Kickoff Show" on Spreaker.